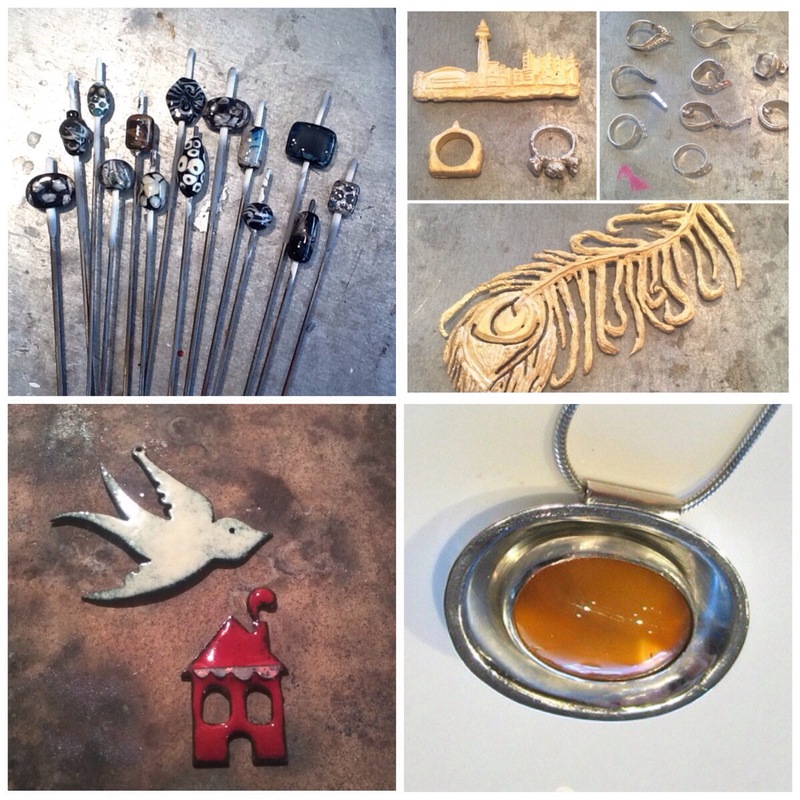 nanopod: Hybrid Studio offers workshops in metal-smithing (gold-smithing, silver-smithing), glass flame-working, casting, fusing (lost wax, and slumping), mould-making, working with polyurethane resins in downtown Toronto! 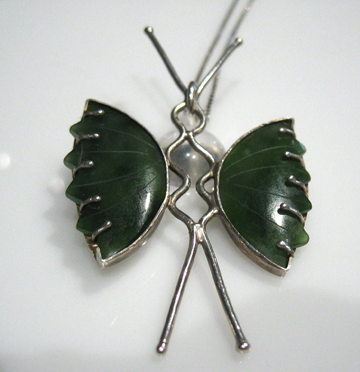 Our next metal + glass course starts up Wednesday, January 8th and currently has 3 spaces available! Register today! A special Plastics workshop is scheduled with guest instructor Nick Sianchuck for the weekend of January 11th- Don’t miss out – Register today!! 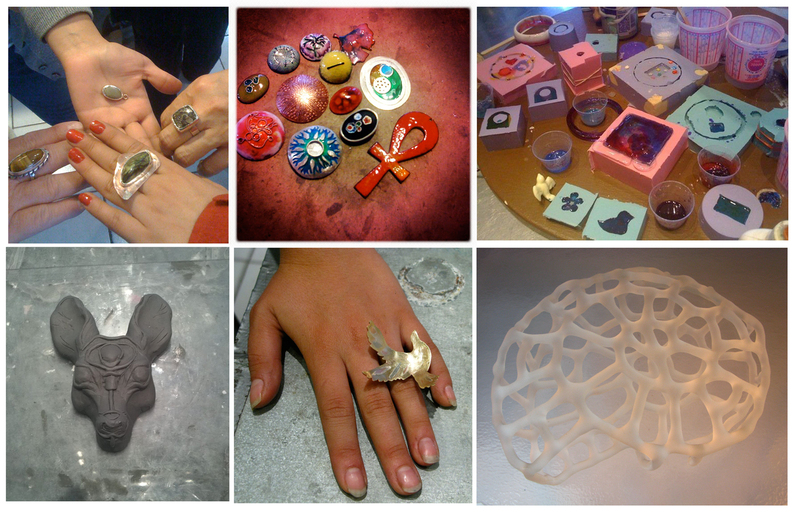 Open Studio starts up for 2014 on Thursday evening January 16th, and will run Saturday afternoons during January and February! 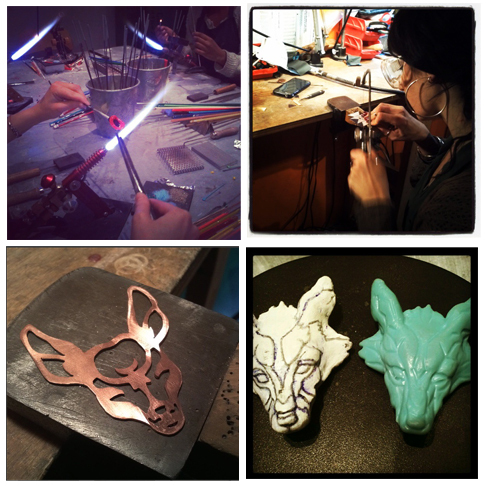 Electro-forming workshops start-up February. If you’ve always wondered how to electro-form and plate gold/brass onto organic objects- this is it! 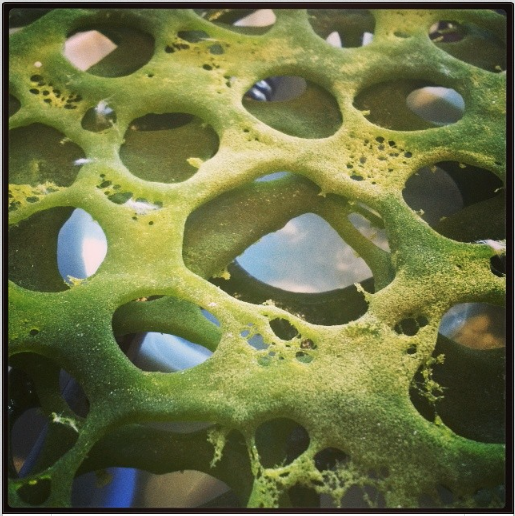 Questions concerning dates and how to register for the upcoming Electro-forming workshops? Drop me an email or comment below! Thanks for looking- Sharing is caring! For more information and to register please click on the Winter Courses 2014 link above! Well, the days are growing colder. Snow is sure to fall soon! Don’t fret! If you’re not a winter person nanopod: Hybrid Studio is a great place for keeping warm and toasty during the winter months! We offer several workshops and jewelry making classes that will aid in keeping your pinkies warm, and you gathering up new skills! Plus, having fun. 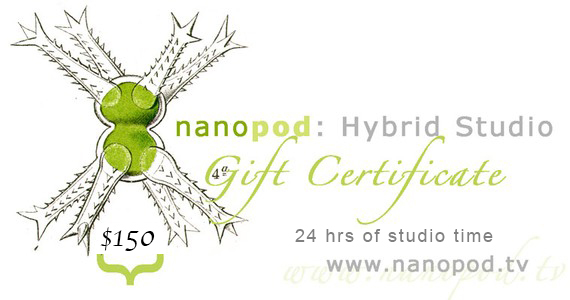 nanopod: Hybrid Studio is a professional artist‘s working studio. The studio is small (nano) offering an intimate learning experience. Courses run with a maximum of five students and a minimum of three. metal + glass is our #1 most popular course! 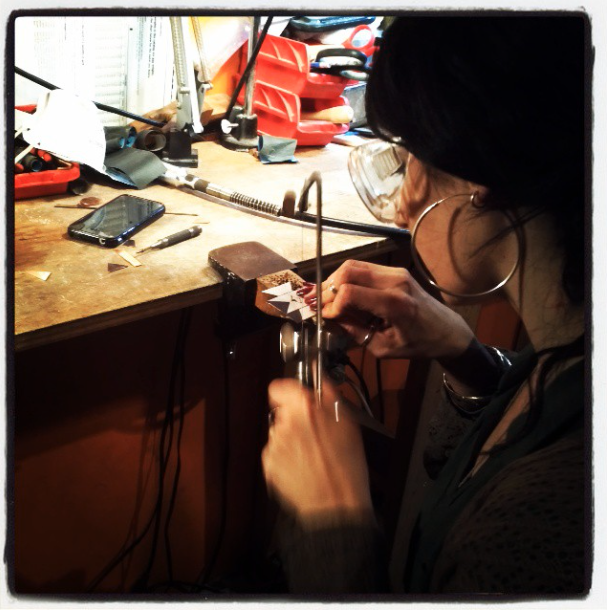 This course runs over 8 weeks and introduces people to various Goldsmithing techniques; hand sawing and piercing (drilling) metal (fabricating), sizing, forming, sweat soldering, joint soldering and pick soldering, bezel setting a stone, simple rivets, carving wax for Lost wax casting, casting with cuttlebone, working with vitreous enamels, and flame-working. Leave this course with several really nice pieces of work and maybe a new obsession 🙂 Our next metal + glass course starts in January and is already filling up! Fire + Gravity is the next course offered that fills fast! 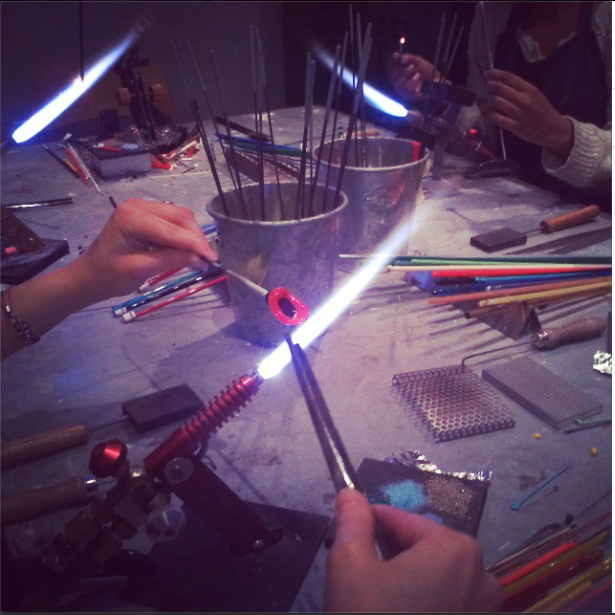 Learn how to sculpt beautiful Italian, German, Chinese and American handmade glass (Bullseye, Northstar, Alchemy, Momka, Trautman, Parramore), in a flame! 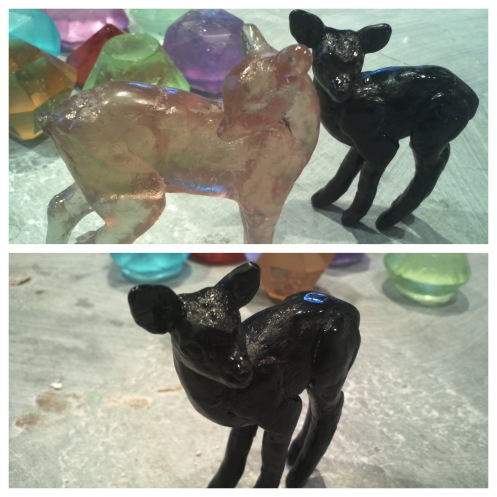 Over 12 weeks you learn how to shape, form, and sculpt, soft glass. 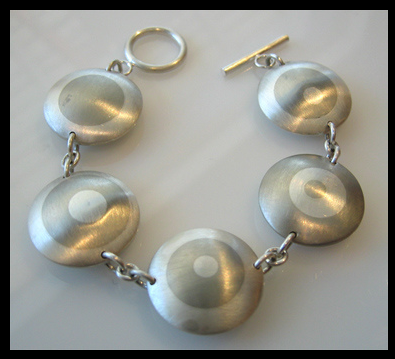 Work with metal foils, meshes, and frit come to terms with gravity and heat control! Eventually moving into ‘harder’ glass (Bullseye), add decorative stems to wine glasses, and spend the last weeks working with borosilicate glass- reducing flames/oxidizing flames, making simple marbles (implosions, swirls) and off-mandrel pendants and sculptures. 3 student max. Register for the upcoming January course! Last on the list of Winter Warmers (but definitely not least!) 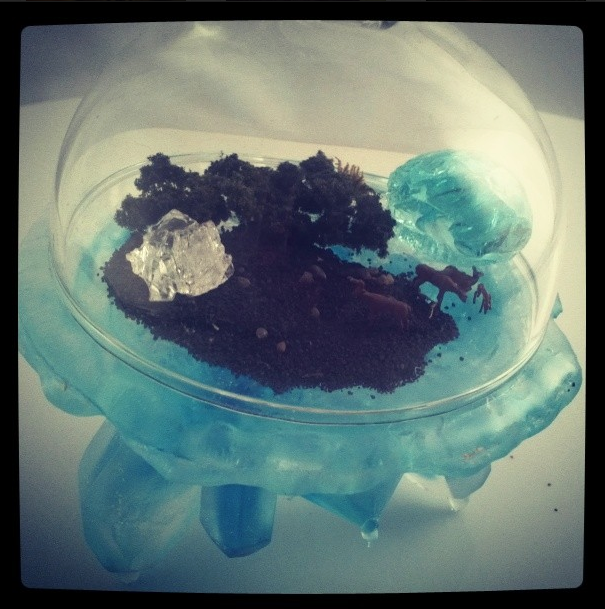 is nanopod: Hybrid Studio’s exclusive Ars Vitraria Experimentalis aka Glass Casting. The only workshop if its kind in Toronto (outside of a University setting) and highly informative. 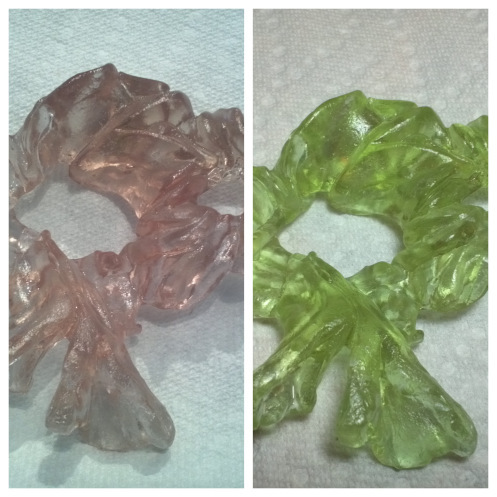 All manner of casting glass is discussed, and experimented with! From recycling wine, beer and glass water bottles to casting with gorgeous Gaffer crystal (yep, crystal). Students sculpt forms out of clay and wax, learn how to work with dental alginate, and silicone moulds. 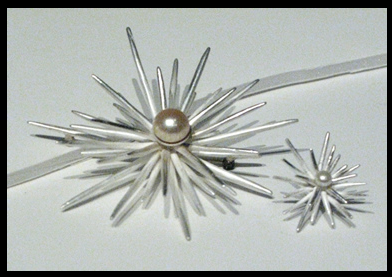 Embed metal armatures within your sculptures. 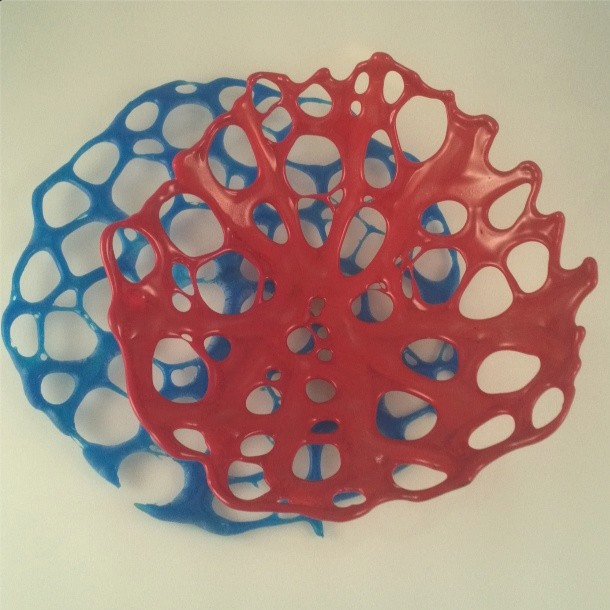 Various refractory materials are discussed and their uses in glass casting. Steaming out wax, annealing temperatures and finally cold-working glass (how-to in a small studio environment). Glass is quite an amazing material to work with! 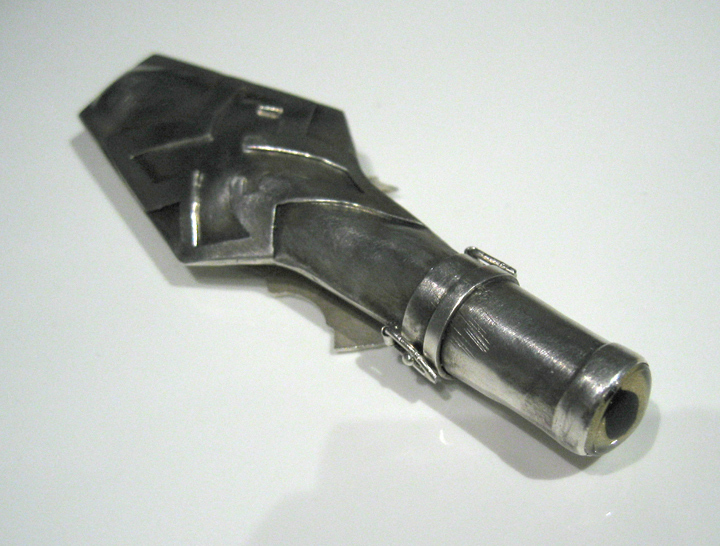 I recommend this workshop to students working with metals, wood, plastics – certainly sculptors. Anyone interested in process, and creating unique work. So, Winter 2014 holds many options for creating new work, learning new techniques and skills and keeping warm! 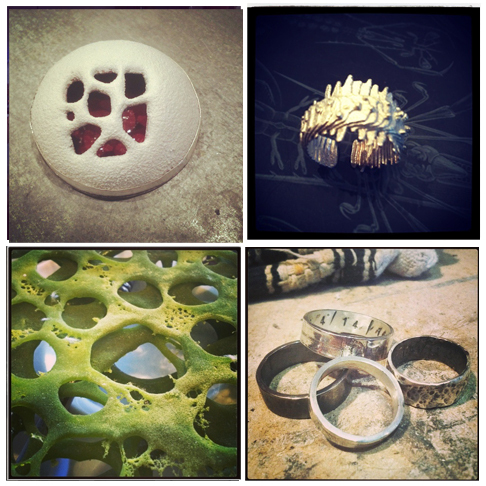 Check out nanopod’s other workshops- want to make Ring Bands, or Metal 2, or check out what’s happening December 2013 with our guest instructor!